How have we thought "the body"? How can we think it anew? 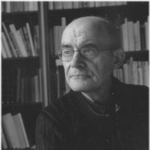 The body of mortal creatures, the body politic, the body of letters and of laws, the "mystical body of Christ"-all these (and others) are incorporated in the word Corpus, the title and topic of Jean-Luc Nancy's masterwork. 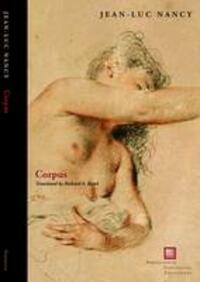 Corpus is a work of literary force at once phenomenological, sociological, theological, and philosophical in its multiple orientations and approaches. In thirty-six brief sections, Nancy offers us at once an encyclopedia and a polemical program-reviewing classical takes on the "corpus" from Plato, Aristotle, and Saint Paul to Descartes, Hegel, Husserl, and Freud, while demonstrating that the mutations (technological, biological, and political) of our own culture have given rise to the need for a new understanding of the body. He not only tells the story of this cultural change but also explores the promise and responsibilities that such a new understanding entails. The long-awaited English translation is a bold, bravura rendering. To the title essay are added five closely related recent pieces-including a commentary by Antonia Birnbaum-dedicated in large part to the legacy of the "mind-body problem" formulated by Descartes and the challenge it poses to rethinking the ancient problems of the corpus. The last and most poignant of these essays is "The Intruder," Nancy's philosophical meditation on his heart transplant. The book also serves as the opening move in Nancy's larger project called "The deconstruction of Christianity."